Depressive episodes in Sardinian emigrants to Argentina: why are females at risk? To compare the frequency of ICD-10 depressive episodes in a community sample of Sardinian immigrants in Argentina and a community sample of Sardinian residents in Sardinia, Italy. A search of telephone directories provided all subscribers with Sardinian surnames in the Argentinean area involved. A 75.8% of all subjects thus identified took part in the study (n = 210). The characteristics of randomisation methods used to identify the community sample in Sardinia (n = 1040) have already been published elsewhere. All subjects were interviewed using the Composite International Diagnostic Interview Simplified. A higher frequency of depressive disorders was observed among the Sardinian immigrants in Argentina (26.7 vs. 13.5%, P < 0.0001). Females in particular showed a higher risk with respect to the Sardinian sample resident in Sardinia. 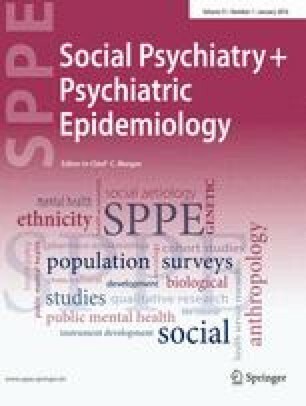 On comparison of the present findings with the lifetime rate of depressive episodes in Sardinian immigrants in Paris (France), reported in a previous research study, a lower prevalence was observed among the latter group than in Sardinian immigrants in Argentina but the young male immigrants in Paris were at risk. The results obtained seem to suggest that emigration to a country where economic conditions have since dramatically changed may predispose subjects to depressive disorders, particularly when compared to the percentage of affected subjects in their native population and among subjects who had emigrated to more economically stable countries. Further epidemiological studies are warranted in order to confirm the present results and to clarify the determinants of the major risk for females in such a condition. The authors would like to thank the “Circolo Antonio Segni La Plata” for their friendly hospitality and support and Maria Elena Lo Feudo “Mamama” for her warm hospitality in La Plata (Argentina). The Project Leader Mauro Giovanni Carta is grateful to “Presidenza” of “Regione Autonoma della Sardegna” for the grant “Legge Regionale 19/96, Programma di Ricerca a favore dei Paesi in Via di Sviluppo”.